Winner of the giveaway is Carol L. Congratulations, Carol! To celebrate the release of The Wicked Duke on May 31, I am giving away, to one reader, TWO gifts. 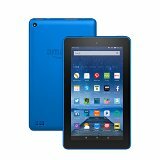 One is a 7” Kindle Fire, 8 gb, wifi capable. 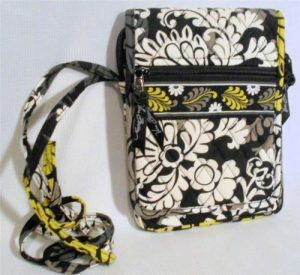 The other is a Vera Bradley mini hipster cross body purse in the Baroque pattern. In The Wicked Duke, Marianne’s better sense tells her that there is a big unanswered WHY? regarding the duke’s offer of marriage. Have you ever been in a situation like that, where events were unfolding in your life and you suspected you did not know the whole story? No purchase required to enter. Due to the varied laws of other countries, entry is limited to residents of the USA (sorry!) Giveaway ends at 12:00 noon, EST, on June 4. Winner will be contacted by email. If giveaway is not claimed by June 10, another winner will be chosen. Winner’s posting name will be posted here, at the top of this post, once prize is claimed. Only the prizes listed can fulfill the giveaway—there will be no cash alternative. Entrants must be 18 years or older on the date of entry. Void where prohibited by law.